I’m gonna be honest. I don’t want to give these away because I WANT TO KEEP THEM. I WANT TO KEEP THEM ALL. But, I am a hoarder, and I must break the cycle. 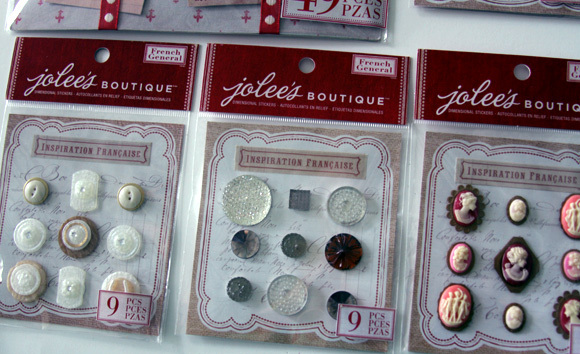 And I want to share the love with you, so I am going to give all these beautiful embellishments from Jolee’s Boutique and French General away to one lucky reader. UPDATE: This giveaway is now closed! Thanks for participating. This video is so adorable, and gives you a feel for French General, the Los Angeles store that inspired the collection by Jolee’s Boutique. You can see a lot more photos of this unique vintage-inspired line over at Scrappy Jedi and May Flaum. This is the package that greeted me. 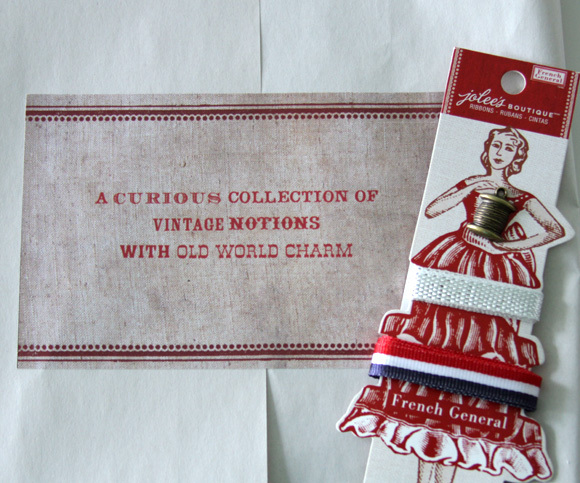 Wrapped in paper and with a label that said “A curious collection of vintage notions with old world charm.” Cue the Amelie-esque accordion music! These cameo embellishments are the ones that are really, really hard to let go. You can tell I really love the cameos because they are in most of the pictures here. I also love the buttons. Kidding. I am giving everything in the photo. And all you have to do is comment below! Quick Rules: Residents of anywhere where this is not prohibited, 13 and older. Ends on Thursday 5/31/2012 at 11:59 PM. Winner will be announced here in this post on (or about) 6/01/2012. Disclosure: I received these items from EK Success with no expectation for anything. I decided to write this here post & give them away. Opinions were my own. This is a great set! thanks for giving it away! These are beautiful! I hope that I win. This is such a great collection. I would love to have it especially the buttons and cameos. I would want to keep the cameos, too! These are beautiful! Thanks for the contest! Gorgeous giveaway! Even the packaging is beautiful! What a lovely collection! Thanks for the chance to bring it into my home. I can think of at least a dozen projects that I NEED these supplies for. Thanks for the chance to win them! Those all look like fun! These are so cute! I love anything vintage. Keeping my fingers crossed…. These are so neat. Thanks for offering them. that is awesome! i would for sure share with my sis since i know she would love it. I’ve just started a scrapbook about moving to America and these would be so handy to have! Beautiful!! Would love to win! My mind is all a flutter with all the things I can do with this prize pack…..whew I need to sit down for a bit! So pretty. I’m already dreaming up projects I could make with these! Oh those are just lovely! The things I could do with those buttons! 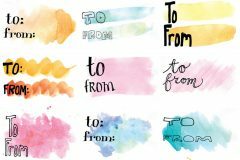 These are adorable and would look great in scrapbooking projects. The “old-new” look is perfect! These items are so beautiful! Thanks for the giveaway! So pretty! I’m glad you are trying to break your hoarder cycle and add to my hoarding cycle :-) thanks for the chance to win!! Ooo… those cameos would be pretty jewelry! Thank you for giving these away! They are beautiful! These are so beautiful..I sure would enjoy owning them..I hope I win..
oh, my! thanks for being so generous…i don’t think i would’ve been strong enough to do likewise :). I love them! Great giveaway! I’m glad I’m not the only hoarder of craft items out there. I would love to win. Please enter me into this contest. Thanks! These are great! I especially love the cameos ;) Thanks for being so generous! I can see why you would hesitate in letting go, but I am so willing to add it o my stash! Well I call myself a craft collector instead of hoarder. I lost most of my scrapbooking supplies during the 2011 tornados so this would be an awesome prize. Those cameos ARE pretty amazing. I hope to win these! These pieces are fabulous! I’ve seen them on other blogs and have been waiting to see any in my local craft stores, but so far, not yet! These things are fabulous and are making me have some great creative ideas. I’m thinking canvas collage. great giveaway! those are lovely pieces. What a fun give away! I love this blog! Because I totally need more stuff! Woohoo! i’m such a sucker for this kind of thing! I love the fact that you admit that you are a hoarder! AND, the fact that you find the generosity to share your abundance!. I am of the thought that part of the “intrigue” of being a hoarder is what joy it brings to share. As it is upon the occasion that I find a manila envelope that I have randomly filled with snippets and trinkets from past projects and pass the packet on with terms to help themselves, and, hopefully… add to the progression of scraps and “pretties” that may bring a smile to some other person to enjoy ! And, perchance…someone will find the perfect thing to inspire, or finish something that had been in need of “just that”!. Sending you smiles! I LOVE the packaging of the French General stuff! I love them all. SO pretty. I just started journaling/scrapbooking with 3D objects and I am addicted. I love the idea of using found objects to make gorgeous covers and pages. I’d love to win! Thank you! I love cameos! have so many things i could use those for! Wow! What a beautiful collection of ephemera. I think I could use each piece, including the packaging. 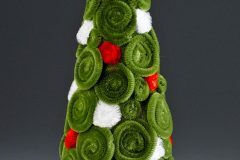 I would love the opportunity to create using these embellishments. Thank you for the opportunity to win. Oh my, ow beautiful. Thanks for the chance to win! Sweeeet candy)) thanks for chance! I like free things and Dollar Tree and crafts! This site is awesome. I would LOVE to win these. It would give me a much needed pick me up!!! Also it has cute vintage and I like that, it reminds me of my grandmother whom I miss desperately (but everyday is one day closer to seeing her and my beloved mama!). So so pretty <3 I would love to win these beautiful little charms to add to my collection. Oooh! Nice. I’d love those! Wow, so inspiring. I love the cameos too. Wow…All these embellishments are so cool – I love the cameos too! Thanks for the chance! :)? Beautiful!! However, being somewhat of a hoarder myself, I’m almost (notice I said ALMOST) hoping I don’t win!!! LOL, yeah, right!! I love Old World Americana, so this is right up my alley!!! I love, LOVE, LOVE this giveaway! Everything pictured above is so inspiring, and I’m just itching to work with it! Thank you for all the awesome giveaways even though I’ve never won one keep up the amazing site! These would be great to use in a program on altered books! These notions are really lovely. They’re almost too beautiful to use. I would love to have your giveaway! Absolutely love all of the items in this giveaway! I would have a blast using them for projects! What a great collection. I love it! Thanks for the giveaway. 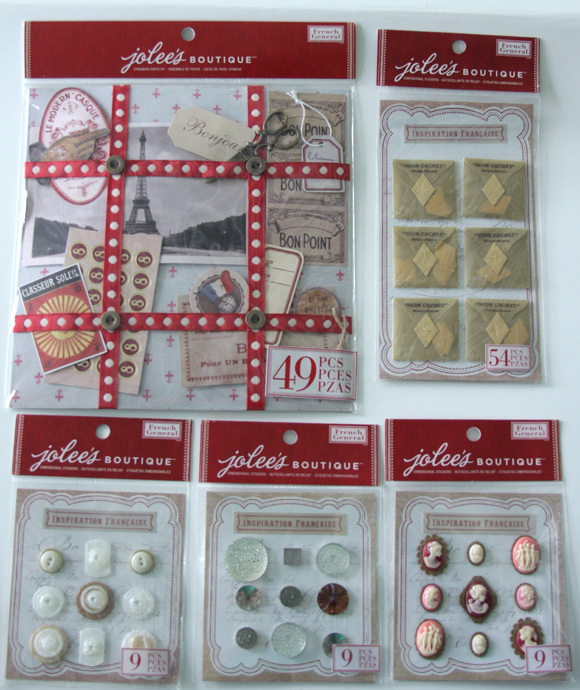 So gracious of you – these are wonderful embellishments that will happily make a new home in someone’s studio. Thank you. This would be great my birthday is Tuesday and I will have my nieces all summer and my grand kids alot. This would make project pieces. WOW! These are all gorgeous, but I would “settle” for the cameos alone! Love vintage! So many uses for these! Heavens to Betsy, I’m drooling. Wow! 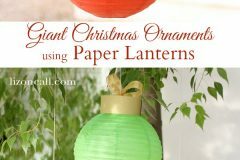 These would make great embellishments for heritage or travel scrapbook pages. I love the cameo embellishments too. And the buttons! Would love to craft something using them with my daughter. How adorable! I love me some sewing notions. Thanks for this! Wow! These are awesome! Thank you so mich for sharing! Oooh! La, La. Thank you for the opportunity. This looks like a fabulous gift! I love the look of this line… and especially the cameos! Ohmygosh! It’s all so pretty! Thanks for the chance! Oh my! I have been looking at these at Michael’s and trying to justify breaking my spending ban! Winning them would help me be a good girl and still get a hold of these beauties! These are all wonderful. I can see why they are hard to part with. Thanks for the opportunity. Thanks for the giveaway! Feel free to pick ME! 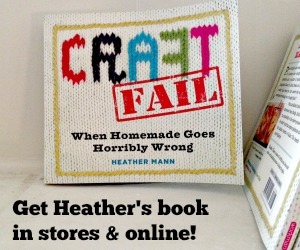 My name is Shawn & I,too, am a craft hoarder!!! Thanks for the giveaway! Love all that stuff. I been wanted them. Thanks for sharing. Oh my gosh, I love this line so very much! I am not sure how you are managing to part with it! But so happy you are offering this as a great give-away! Wao This is the sweetest and cutest giveaway i have ever seen. This is my first visit to your blog and i found totally interesting. Hopefully i can win this. Again Heather, Really Nice giveaway! Love this grouping! I’m already thinking of all I can do with it if I win! This packaging is so ridiculously awesome! Great giveaway! I love the cameos too! I am so excited about this giveaway! Even if (when) i don’t win, I definitely want to buy some of these things. Fan-freakin-tastic!! I am a cameo fanatic so of course I’m in love with these! Thanks for offering such a great giveaway! This is the BEST giveaway ever!!! I am sooooo excited!!! Thanks for such a great offer! P.S. I’m going on a trip so I won’t be able to see your blog announcement in case I win. But I DO SO want the prize, so please don’t pick someone else if I don’t get to email you right away. THANKS AGAIN. I love all of these items! I have seen them in Michael’s and I love the video you have posted! I can imagine so many possibilities with these items! C’est bonne, magnifique, vive la France! Visions of rubies and diamonds on the Champs Elise pop into my head, bustles and bows at the great exhibition and enveiling of Le Tour Eifel! Tres bien…..
Wow! 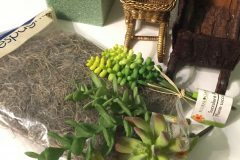 What a haul – would LOVE to have all this stuff! Thanks for the opportunity! Oh, such lovely packaging – think of all the things the girls would do with this! Thanks for the opportunity!